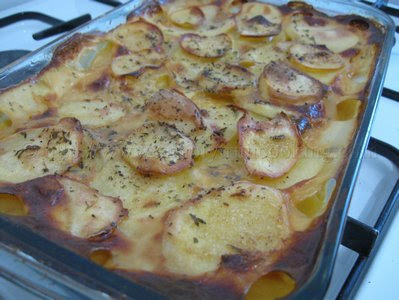 The term ‘Au gratin’ is a culinary technique, derived from the French, in which an ingredient has a topping of cheese (and/or bread crumbs) that is browned in the oven. When the au gratin is baked, a golden crust is formed on the top of the dish. Some au gratins are baked in the dish it is served. 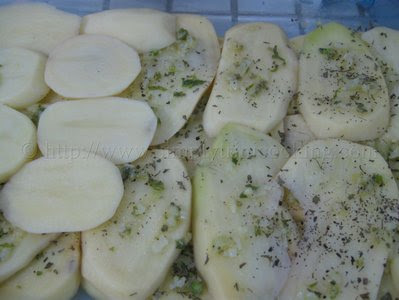 Potatoes are not the only type of food that can be prepared in this style, you can use the technique with just about any vegetable, provision ( for us trinis) or meat. In a future post I may try the technique with another local ingredient. 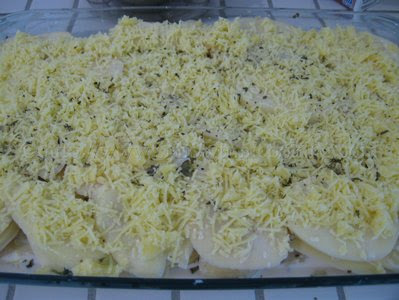 But today I decided to use potatoes for my au gratin recipe, potato au gratin. If you love potatoes like I do, you would love this potato au gratin recipe. It is the creamiest and tastiest potato recipe ever! This is perfect comfort food and it goes great as the main attraction or as a side dish with practically any dish I can think of… Well, almost all dishes I could think of (potato au gratin and mango chow might be a problem lol!!!) ….. 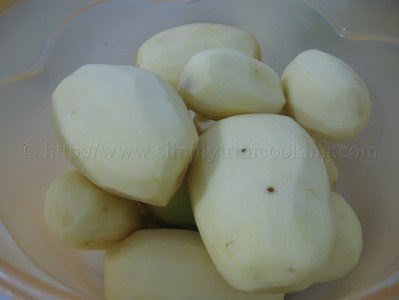 It is also one of my favorite potato recipes for that Trini Sunday lunch. 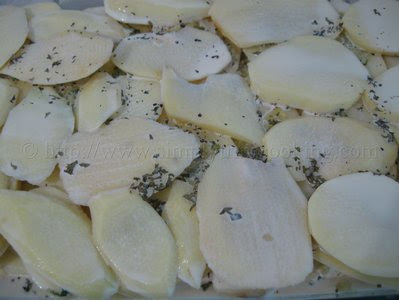 If you want to try this potato au gratin recipe, I must say just be prepared to spend some time preparing the ingredients. The peeling and chopping takes time. 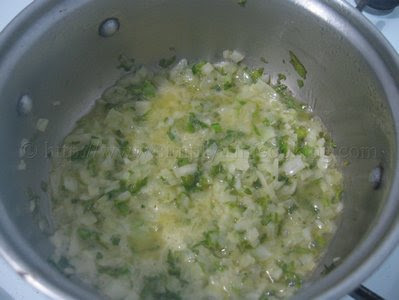 The potatoes have to be sliced reasonably thin; the onions, chive and celery finely chopped, and the cheese grated. But, don’t worry, it is well worth the time. I’m sure you can get some extra hands involved and I can assure you, you will want to make it again as I have on numerous occasions. So next time you’re wondering what delicious side to add with your callaloo, and red beans why not try an au gratin potato recipe. 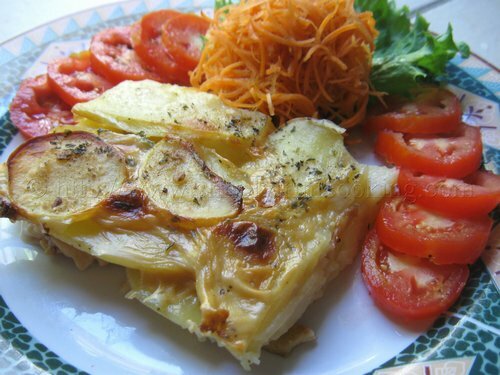 Here, is potato au gratin trinistyle. Enjoy! 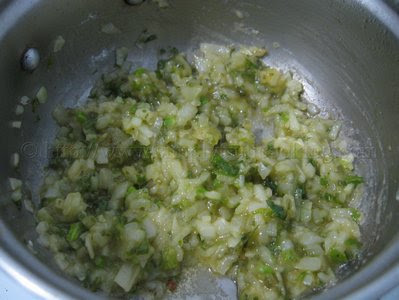 … add the onion, pimento, chive and celery and saute until tender. 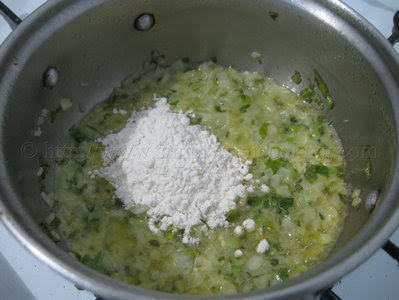 Add the flour and continue to cook for about two minutes. Remove from the flame and sprinkle the salt. 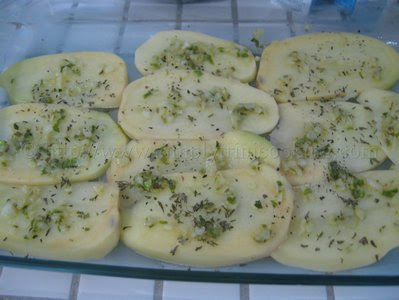 Place the potatoes in a greased baking dish 12″ x 8″ x 2″. 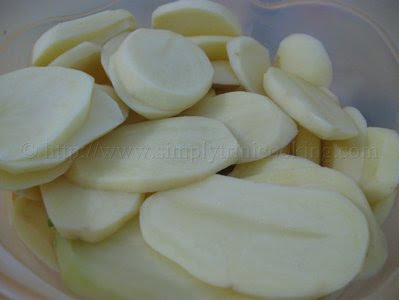 Brush the butter and flour paste over the different layers of potatoes. continue layering until all the potatoes are used up. Top the last layer with the grated cheese. Pour the milk into the baking dish. Garnish with paprika and parsley. 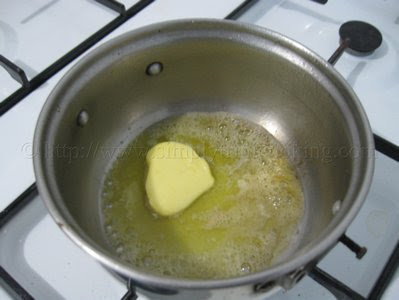 or until the potatoes are tender and the top forms a golden crust. Leave to cool about 10 minutes before serving. For those of you wondering where de Felix man gone, not to worry. I haven’t gone anywhere. I’m still in Sweet T & T enjoy the beautiful sunshine. I am just busy with some work. Recipes are being done and I will try and post in between. Keep sending your comments, emails and requests I will be sure to reply. And why not be a facebook fan while you’re limin’ on the website checking out the Trini recipes. I am always a fan of potato au gratin. That bubbly cheese on top…mmm. I’ll fight you for it! Wow! That looks so delicious…yum.